Barcelona is a city known for its amazing nightlife. There is a huge variety in bars, pubs and clubs. From a tiny, cozy traditional Spanish bar to a lot of different amazing clubs. The entrances for the clubs vary from 10 Euros to a maximum of 25 Euros. Although you can gain free entry into many of the top venues on special guestlists that are open for anyone to use, (you just need to know what to quote on the door). The great party in Barcelona are also the erasmus parties in Barcelona. You can go out every night of the week if you´re willing to. There are special theme nights on almost every night. Like the ´Love Mondays´ at Opium Mar and the ironically named ´Crappy Tuesday´ at Apollo for example. It's all about finding your own cup of tea.. or something a little stronger! During the summer, Barcelona´s nightlife becomes even more varied - with open air cinemas, live dj sets on rooftops, and paradise beach bars springing up all over the city. Fridays and Saturdays are dominated by a cosmopolitan mix of tourists, and stag & hen parties. Sunday nights are busy with locals as many shops and restaurants are closed on Mondays. Most of the action is centred around La Rambla, the wide boulevard stretching from Placa de Catalunya to the Port Vell. There are usually street entertainers wowing the crowds - mime artists, clowns, acrobats, flamenco dancers etc. Wandering the streets adjacent to La Rambla - the Gothic district (Barrí Gotic), Raval and Born will reveal many fun bars, often aimed at students and budget travelers. 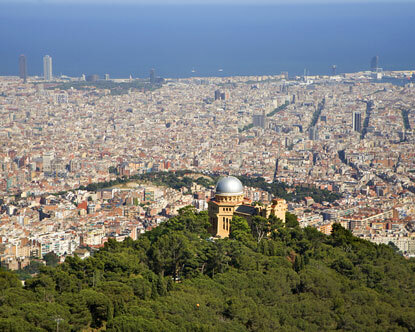 The origins of Barcelona date back to the first century BC, when the Romans established a small colony around Mont Tàber (Taber Hill) called Barcino. The remains of two Roman walls bear witness to this time. 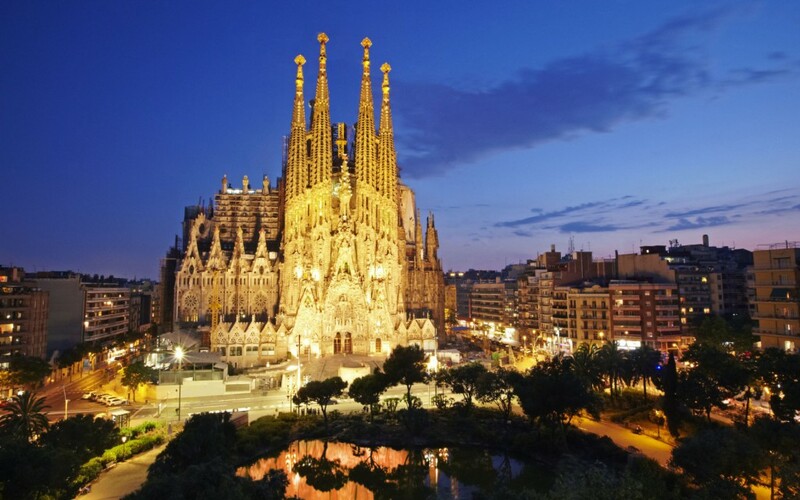 From the 4th to the 13th centuries, Barcelona expanded and consolidated the urban centre established by the Romans. At the end of the 13th century, a second wall was built, around the Santa Maria del Mar church, a symbol of medieval Barcelona. This was where the Ribera barri arose, the neighbourhood of craftspeople. The fruitful medieval period established Barcelona's position as the economic and political centre of the Western Mediterranean. 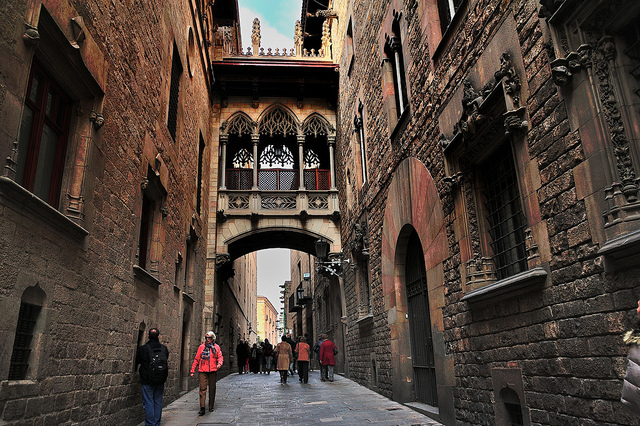 The city’s Gothic Quarter bears witness to the splendour enjoyed by the city from the 13th to the 15th centuries. The 20th century ushered in widespread urban renewal throughout Barcelona city, culminating in its landmark Eixample district, which showcases some of Barcelona’s most distinctive Catalan art-nouveau, or modernista, buildings. 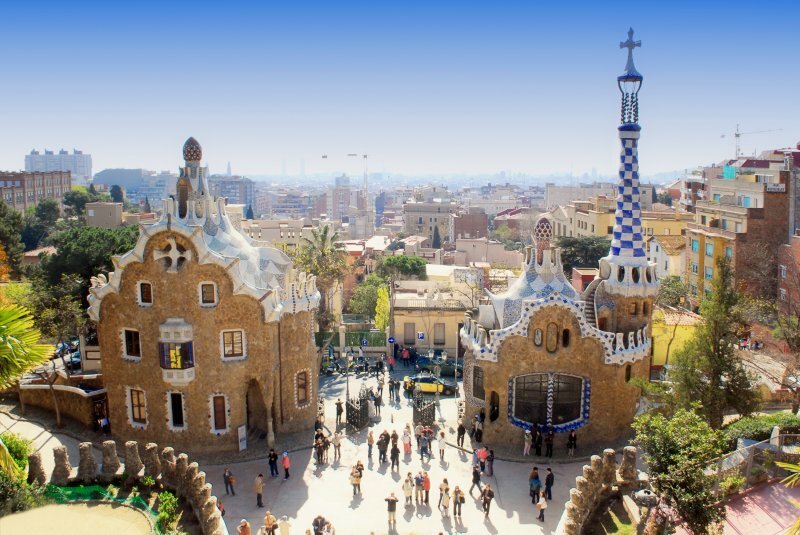 The Catalan Antoni Gaudí, one of the most eminent architects, designed buildings such as the Casa Milà (known as La Pedrera, the Catalan for stone quarry), the Casa Batlló and the Sagrada Família church, which have become world-famous landmarks.